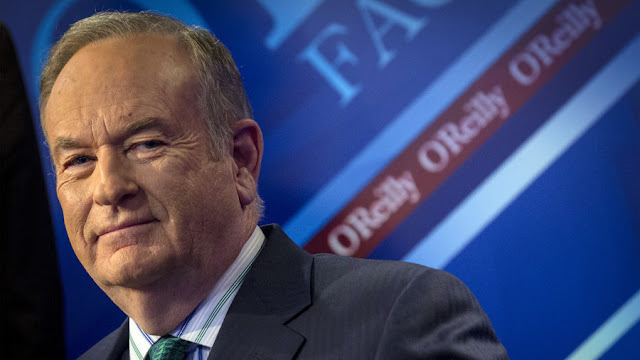 While getting in touch with his roots, Bill O’Reilly claimed that his Irish ancestors came to the US legally and that their persecution exempts him from having white privilege. Twitter tackled him over the spurious claim. Former Fox News presenter was visiting the old country last week, and tweeted a picture of himself in the border county of Cavan, where the O’Reilly clan historically ruled in the ancient Irish kingdom of East Breifne. Rather than keeping the trip light and breezy, however, O’Reilly brought up his own family’s ancient history in an apparent attempt to score some political points. In the text that accompanied the photo, O’Reilly said: “Enjoying my time in Ireland. Visited County Cavan where my ancestors were evicted from their land in 1845. That forced them to come to America legally so they wouldn’t starve. “Pardon me if I reject the ‘white privilege’ scenario if applied to my family,” he added. Enjoying my time in Ireland. Visited County Cavan where my ancestors were evicted from their land in 1845. That forced them to come to America legally so they wouldn’t starve. Pardon me if I reject the “white privilege” scenario if applied to my family. The Twitterati on both sides of the Atlantic took issue with just about everything in O’Reilly’s tweet, mockingly tearing apart his claim that he didn’t have white privilege. O’Reilly appeared to suggest that his ancestral family had come to America legally in a process similar to what is required of immigrants and refugees at present. However, social media users highlighted his ignorance to the fact that US immigration policy was radically different in 1845. Matthew Parent, a PhD candidate at the University of Connecticut – whose thread of tweets tackled the claim that the suffering of O’Reilly’s ancestors exempted him from white privilege – argued that O’Reilly and other Irish Americans today have never experienced a time where being Irish limits their experience in America. That’s more than 150 years ago. Please don’t try to argue you’ve experienced oppression. We have a sitting congressman whose skull was fractured for the audacity to want to sit at a lunch counter, vote, and be recognized as fully human. OReilly is literally trying to say he hasn’t/doesn’t experience privilege in his own country because the British Empire pushed his ancestors out. Mine were, too, but there’ve been a couple world wars, global economic restructuring, and thousands of other changes since then. And why my ancestors left Ireland, however unfair and tragic, is part of my family’s history—not a part of my life’s present. I (and OReilly) have never lived in a time when being Irish limits his life in America. Others argued that O’Reilly’s definition of white privilege was way off. White privilege doesn’t mean your life is easy, it means your life isn’t more difficult because of the color of your skin. That being said, the Irish weren’t accepted as white in the past, but they are now. Whiteness is weird like that. Hi Bill, long time loather, first time writer. Do you realize that privilege is a thing that you can gain over time. It requires context. Here's what context means: when you touch or kiss a woman when she asks you to, that is okay. If not, it is sexual assault. See? Context! O’Reilly’s claim that his ancestors came to the US legally was also tackled in tweets pointing out the fact that US immigration policy back then was radically different to that of the Trump administration, which is supported by O’Reilly today. There was no immigration law in the US until 1875, you shitsmear. Did My Family Really Come “Legally”? This is a stunningly shallow lack of historical perspective. Just mind boggling. "Legal" immigration from Ireland to the US was basically "find a way to get here." But your countrymen DID have privilege via the Naturalization Act. They were good to go because they were WHITE. There were no immigration laws at that point because no one saw the need to keep white people out, so yes, your story is literally a perfect example of white privilege. There was no such thing as "illegal" immigration before the Chinese Exclusion Act in 1882. The shittiest thing about this.What a lovely opportunity, for an older man, to connect with his roots, learn about his people and himself on an existential level. To be thankful,humble himself,grow as a person. Instead,he smugly uses it as a stick to beat blacks and immigrants.